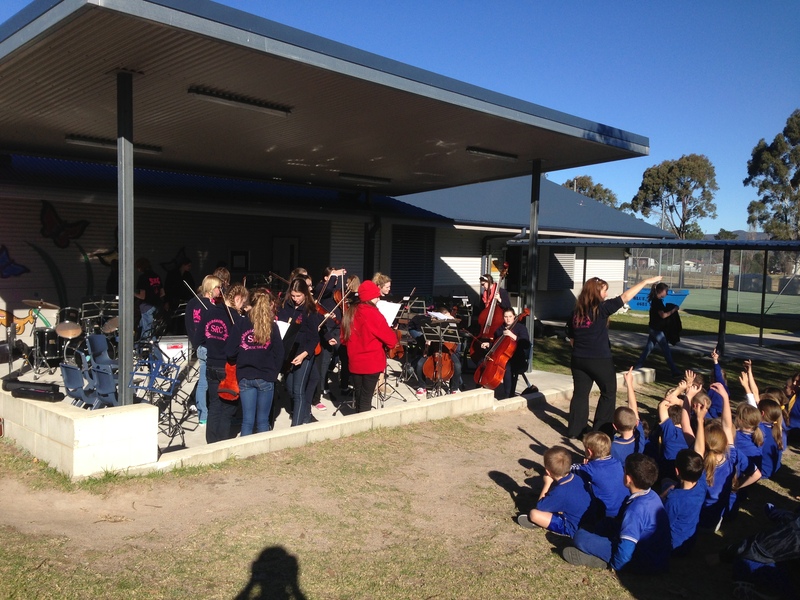 The day started with our first performance at Cambooya State School. 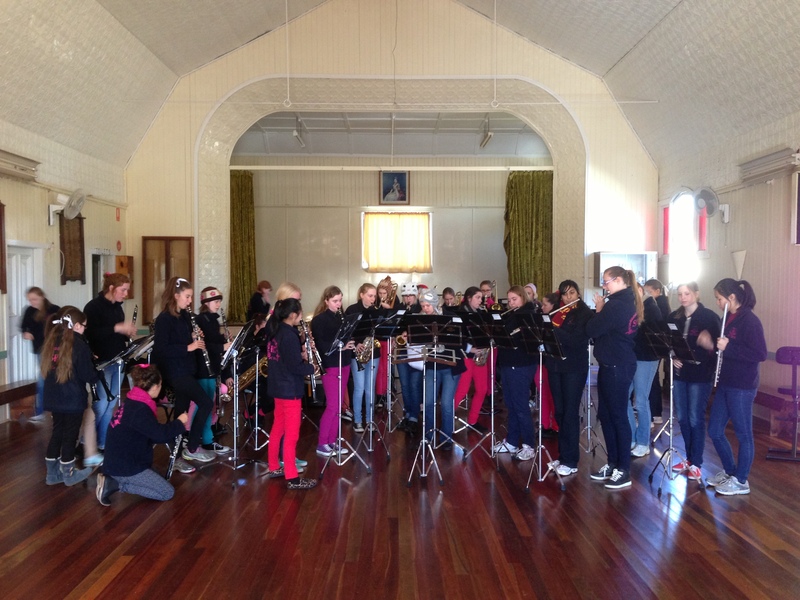 For this performance we used the Cambooya Town Hall. As the Hall had been closed all night, the temperature inside the Hall was a lot colder than the outside temperature. 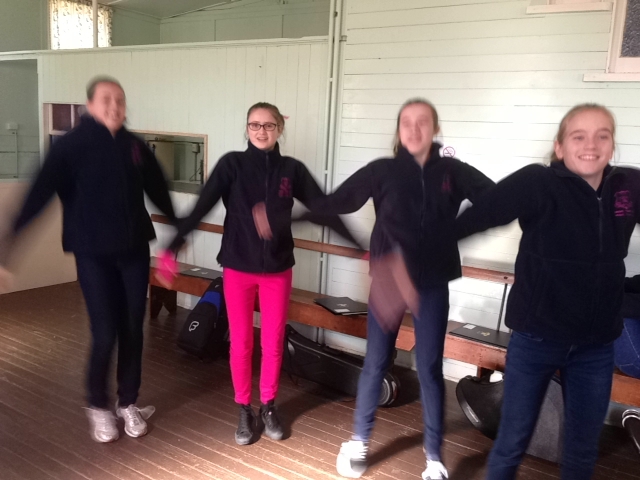 So, star jumps were in order to warm up the body before warming up instruments. 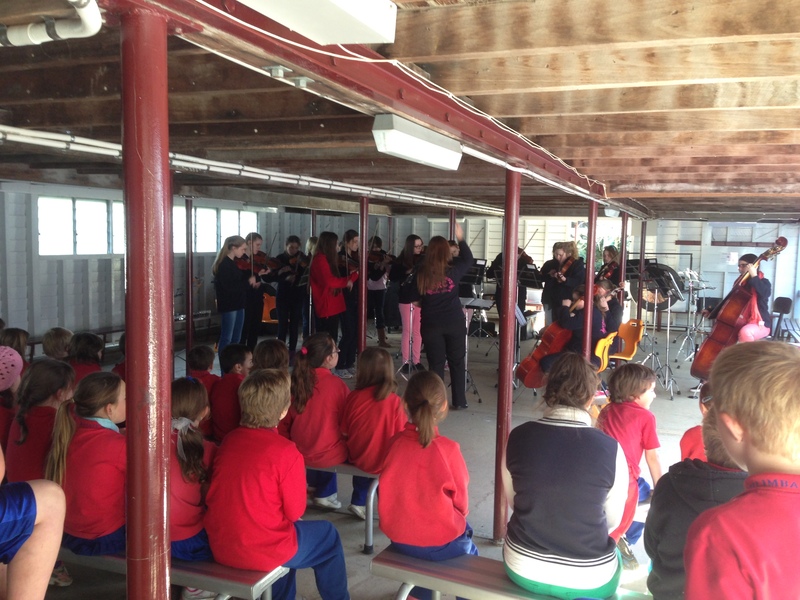 Our second stop was for Thulimbah State School. We performed here under their main building which cause some concern for our taller girls. 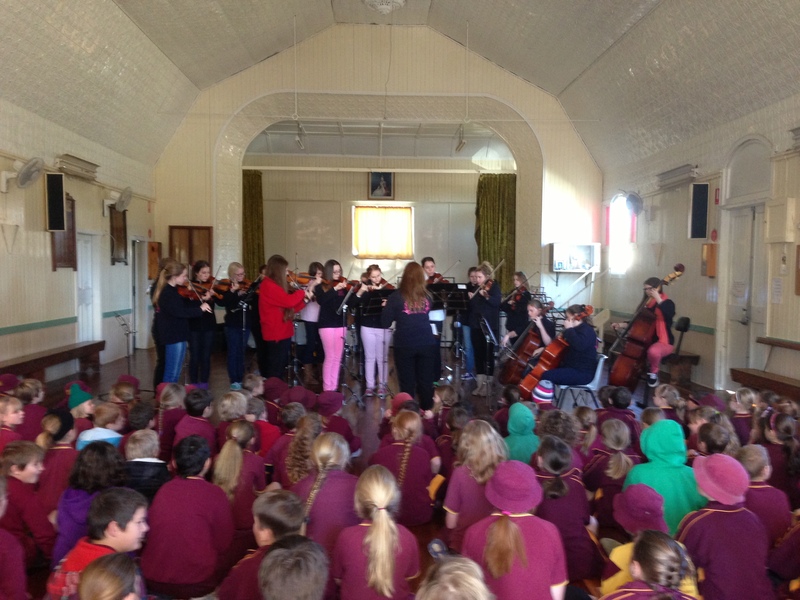 For both performances, the school children were very appreciative and immensely thankful for our visit. 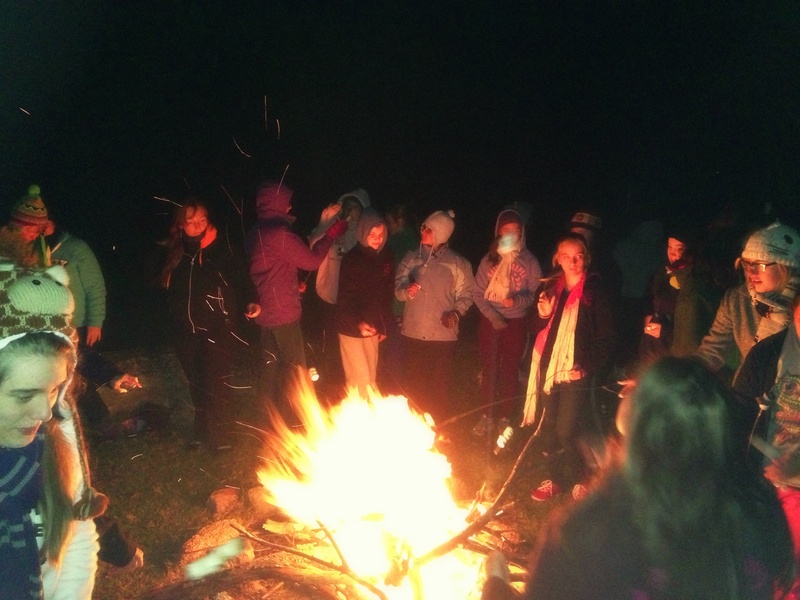 The day concluded with a bonfire and roasting marshmallows. 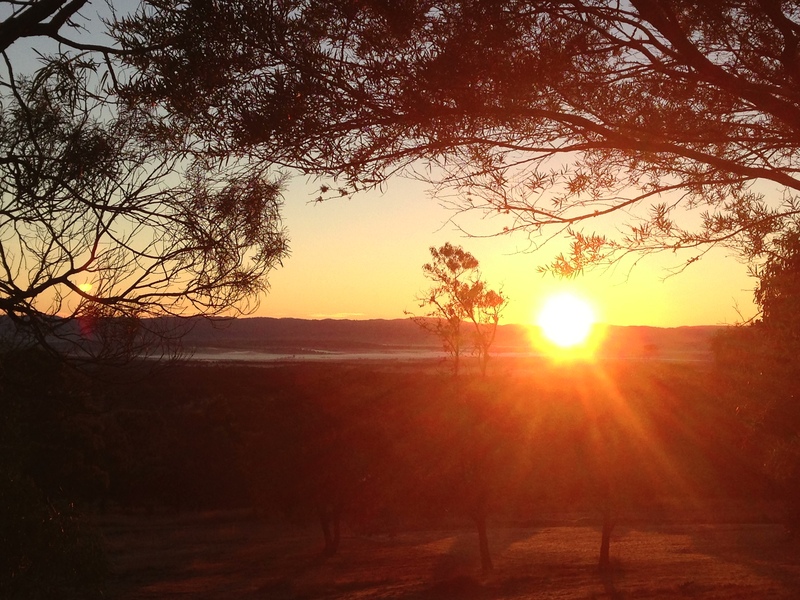 The end of another successful day. Posted in Info, Music Tour 2013, Trips and Tours. 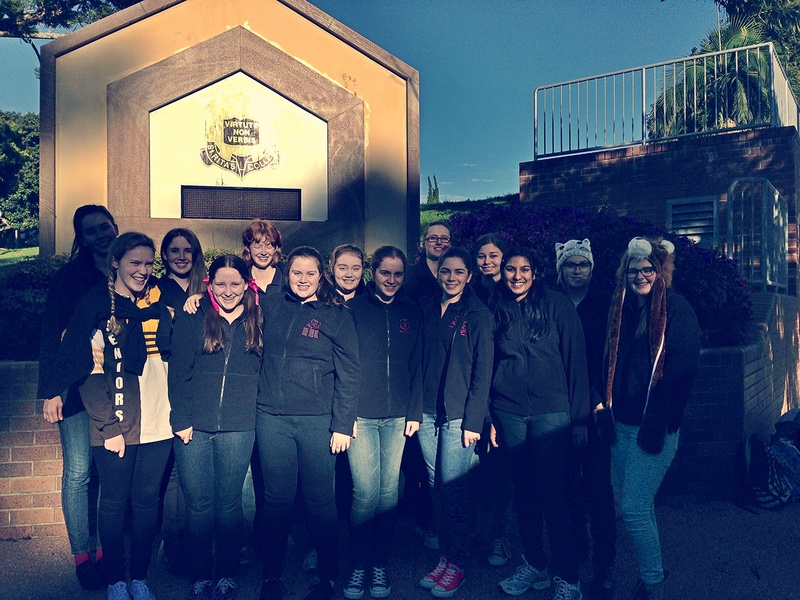 Day 2 on Music Tour started out at a brisk -1.9C – cold enough to freeze Mrs Angelique Howell’s air conditioning unit. 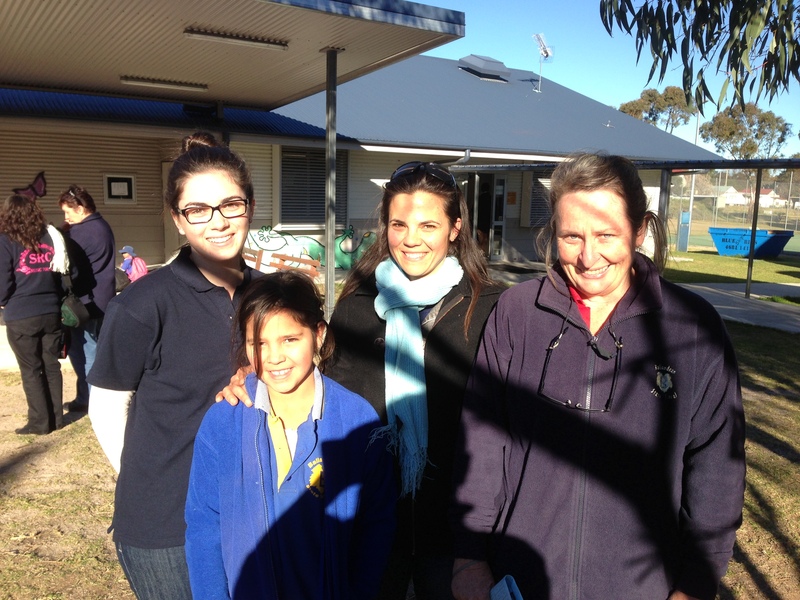 We travelled to Karara State School for our first stop. 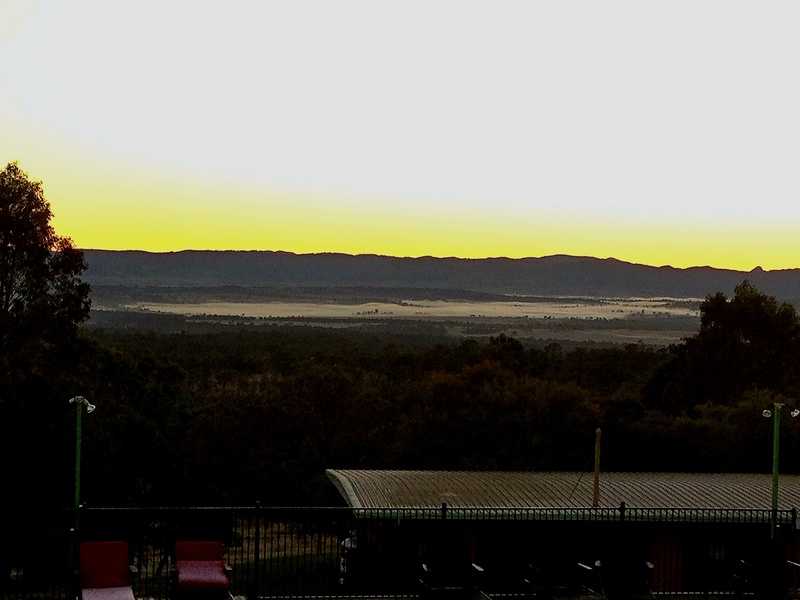 This State School has a population of only 6 students and yesterday we were missing one student. 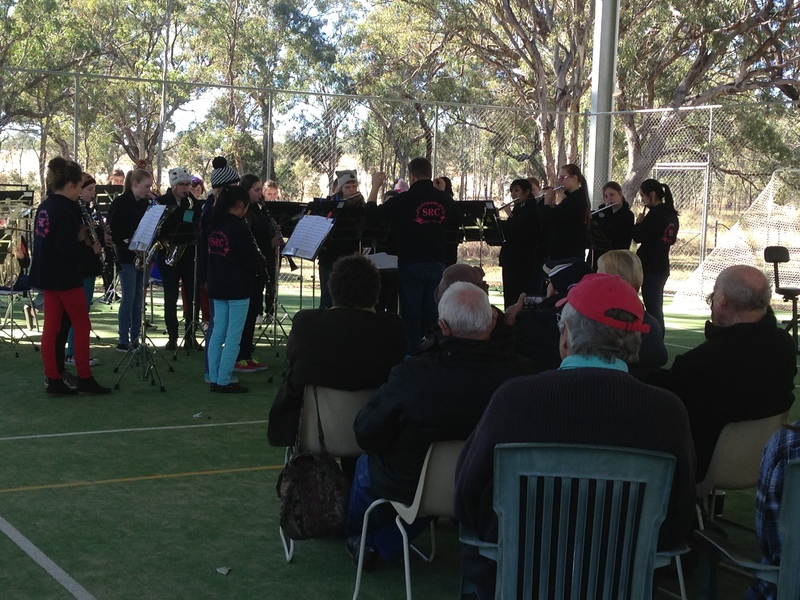 But to make up numbers, the Principal Mr Ryan Pedley, had invited families and friends to see our performance. At the conclusion, there was a morning tea that would have fed 501!! 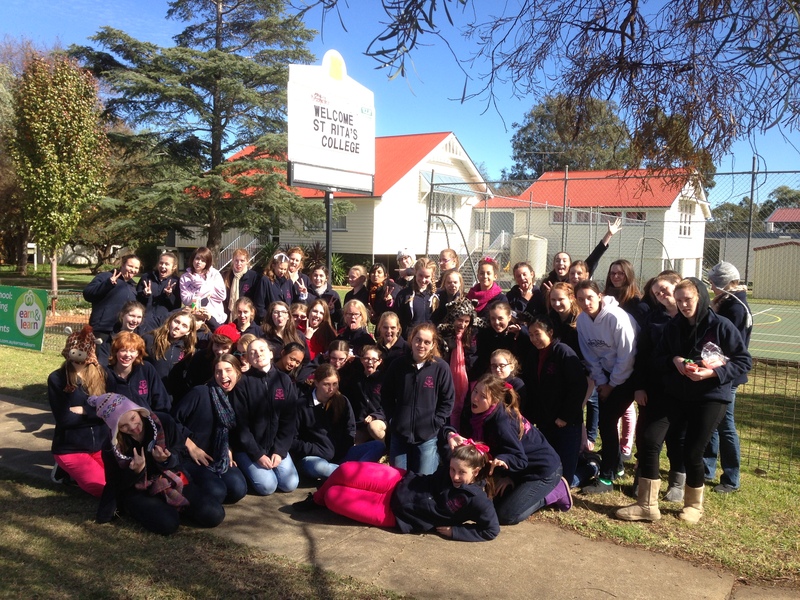 Our second stop was Ballandean State School where we were met by Principal Mr Russell Thompson. 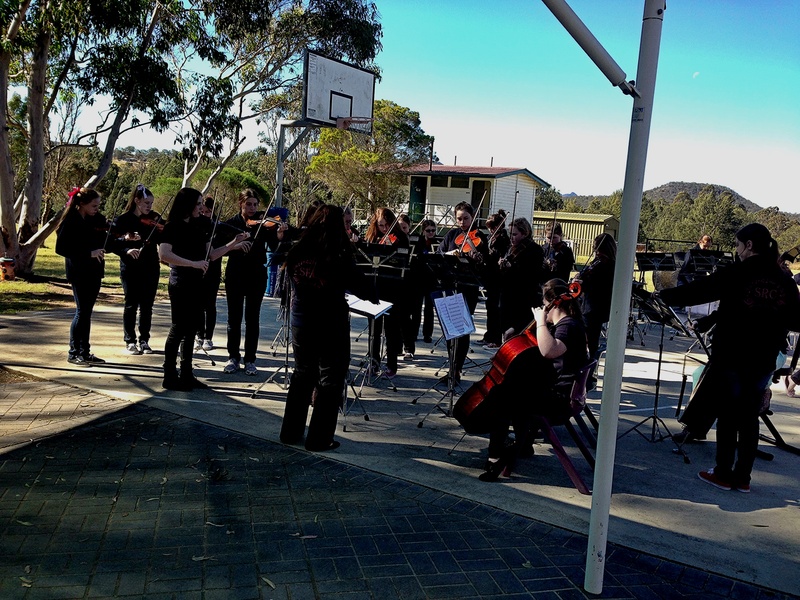 With an audience of approximately, the students defied the setting sun and performed beautifully. 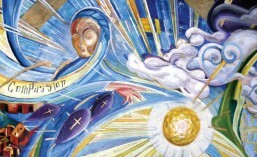 Also in the audience were two past students of St Rita’s College Mrs Amanda Lombardi and Mrs Bernadette Hayes. Both ladies had a lovely chat about how our College is flourishing with our College Vice-Captain, Tierney George. Posted in Music Tour 2013, Trips and Tours. 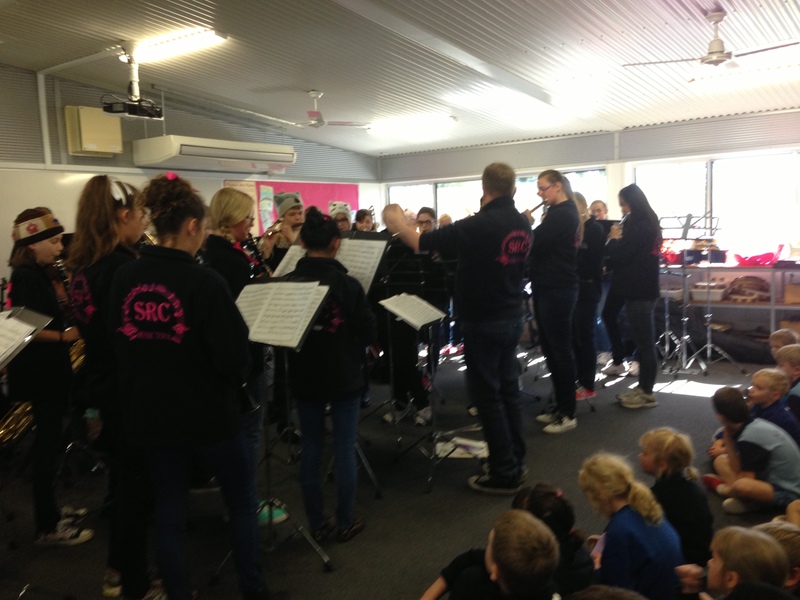 The music tour begins in earnest with performances at Maryvale and Aratula State Schools. Fifty-one students begin their week-long regional music tour today. 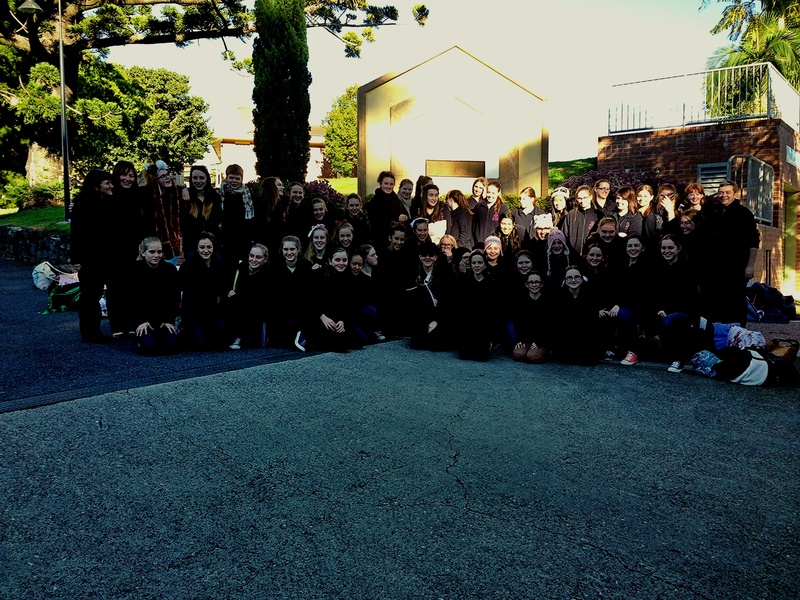 Pictured below: the Music Tour ensemble 2013. Pictured below: Our Music Tour Seniors 2013.